The trilobite fauna of the Hølonda Limes tone comprises nine more or less imperfectly known species, Iisted on p. 83, the greater part of them of Scandinavian-Baltic affinity. 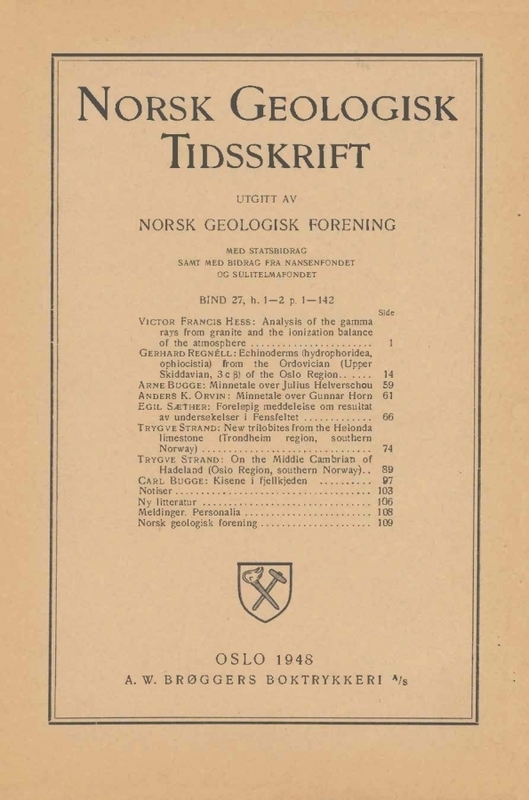 The fauna indicates a stratigraphical horizon equivalent to some part of the Orthoceras Limestone Series of Sweden, not below the Asaphus Limestone zone (divisions 3cβ - 4a of the Oslo Region). Paleogeographical relations with broadly contemporaneous faun as in Scotland and Ireland and Newfoundland are claimed to exist.